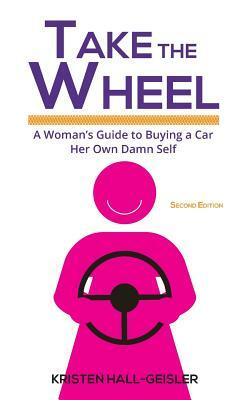 A lot has changed in the four years since Take the Wheel was originally published, but most American women still rely on cars we own to get around. We still control most of the big-ticket household purchases, and we still make up more than half of the registered drivers in this country. We also do a lot of research at home before setting foot in a dealership, which makes us more informed about the particular car we want to buy than the salesperson probably is. But that doesn't stop them from talking down to us, asking if our husband is okay with us spending so much money, and generally being asshats to us when all we want to do is give them thousands of dollars and drive away as fast as we possibly can from the dealership. Kristen Hall-Geisler is a freelance automotive journalist and book editor living in Portland, Oregon. She's honed her research and interviewing skills for the New York Times, TechCrunch, How Stuff Works, Popular Science, and more. There are few things she likes better than falling down the rabbit hole of research and emerging with a book or article that others find useful and--she hopes--entertaining while still being based on solid sources. She is also the author of the monograph Lightning in a Throttle: Three Early Electric Vehicle Victories.